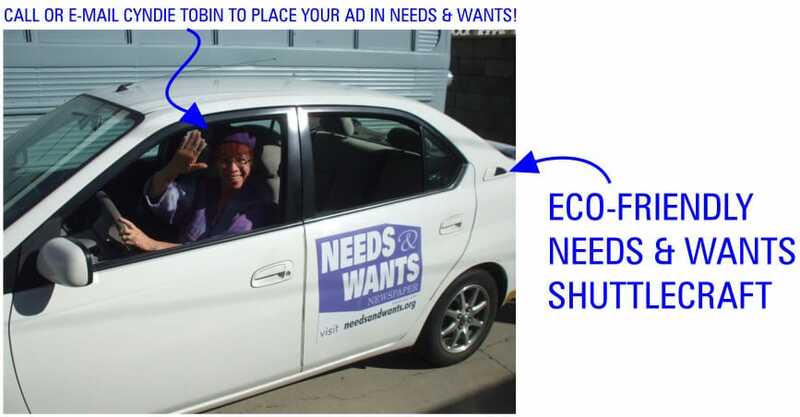 NEEDS & WANTS newspaper | Make Yourself Known! 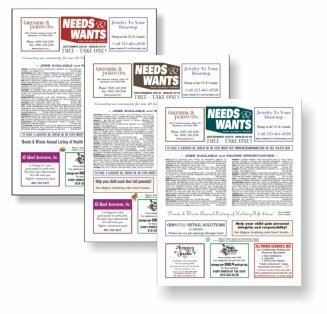 NEEDS & WANTS newspaper print edition is published on the first of each month. 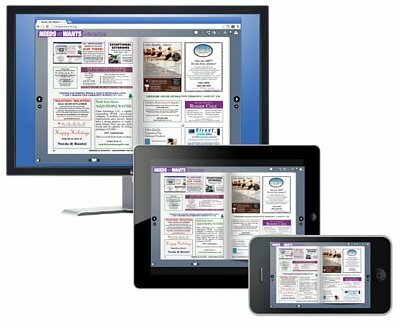 The online edition goes live on the first of each month and is updated throughout that month. The front and back pages are printed in color with the interior pages in black & white/grayscale. 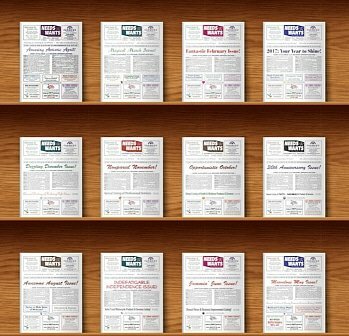 The online edition is created in color for all pages and also features live links to websites, e-mail addresses, and interactive content such as videos. Deadline for submission of all ads is the 21st of the month preceding the next issue, i.e., submit before the 21st of May for inclusion in the June issue. 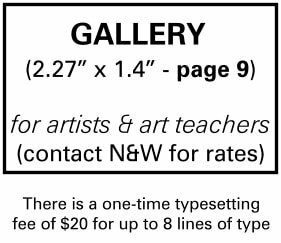 Ads for the print edition will also appear in the full-color interactive online edition which goes live on the 1st of the month. 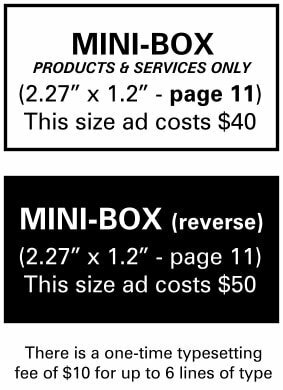 Ads which are submitted after the print edition deadline of the 21st can still be placed in the online edition for the upcoming month. (larger ads can be uploaded via Dropbox; call 818-955-5888 for details). Note: No church trademarked names allowed without proper issue authority. 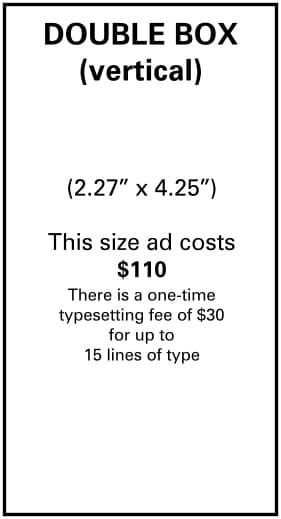 Classified ads are $12 per line and are set in UPPERCASE LETTERS. There are approximately 55 characters/spaces per line and the first word is BOLD. 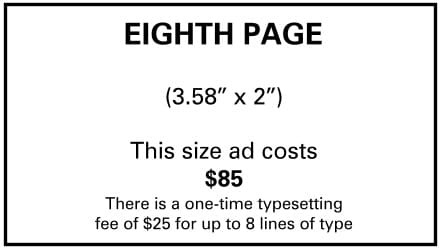 As a cost-effective alternative to full-page ads, flyers and postcards of varying sizes and weights may be inserted into each copy of NEEDS & WANTS. 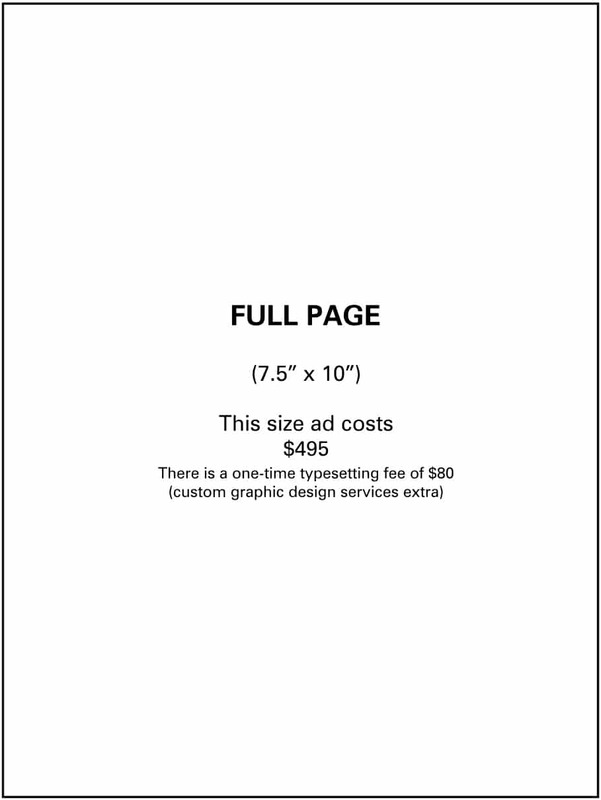 The same insert is also posted after page 13 in the interactive online edition. 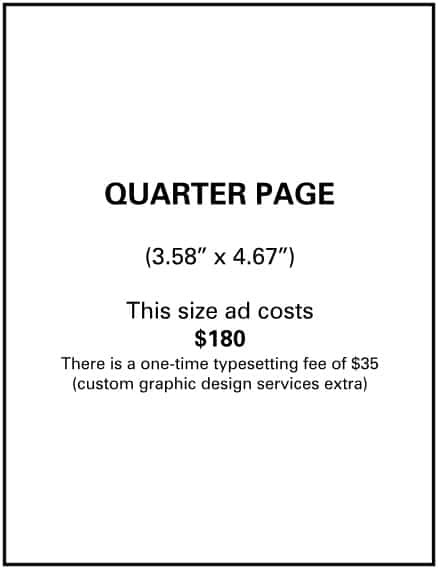 Provide printed flyers along with a same-size color PDF file no later than 4 days before the end of the month preceding the issue date (or contact us about design & print services). 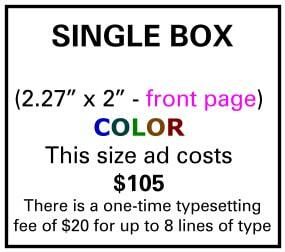 Payment must be received by the 21st of the month preceding the issue date to ensure the complimentary front page display box notice of your insert. 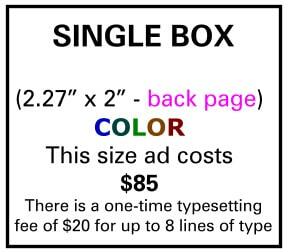 Display box ads are available in several sizes and orientations. 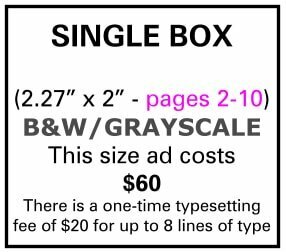 Exact-size camera-ready PDF files are requested, or, we can design an ad for you for an additional fee (typical typesetting charges are listed for each display box size). Custom graphics or logos may incur an additional charge. 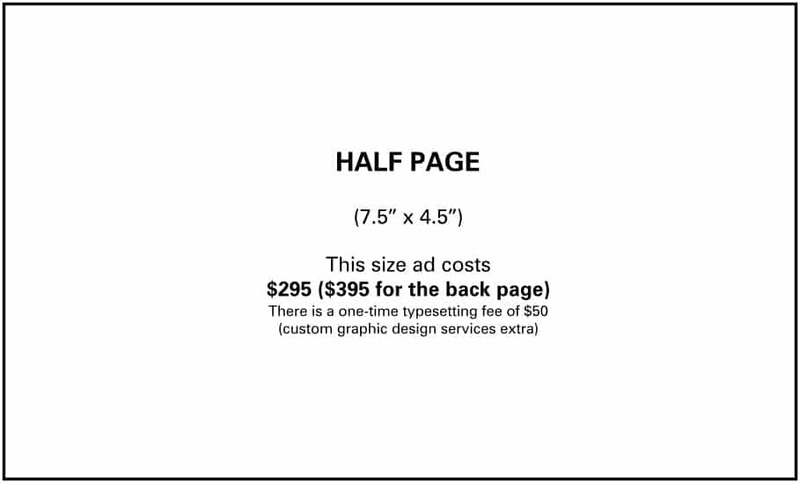 Exact sizes and costs are shown below.